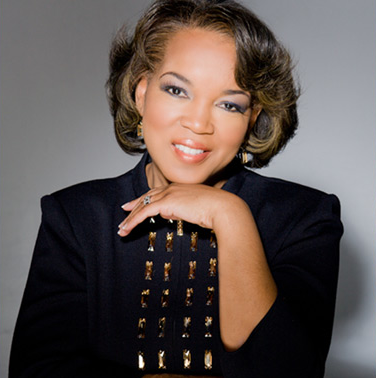 This week's Spotlight Mom is a sought after public speaker who has written a book titled For Love and Money: Seven Guidelines for Achieving Success in Your Home and Business, to help spread the message that one can have both a successful business and a sane, peaceful family life. In it she details steps aimed at inspiring and advising would-be entrepreneurs. She discusses the keys to finding and acting upon one’s true purpose; the necessity of careful research and preparation before starting any business venture, and the value in finding a vision partner. She tells readers what it means to be an effective leader in your own organization. She emphasizes the importance of always playing for the “home team” by putting family first and “making room for cuddle time”. Didn't think a balance could be struck between work and family? Well, thanks to Dr. Bellandra B. Foster and her book, she helps to show you that is is possible -- you just have to work at it. I know many mom entrepreneurs who struggle with striking a balance between the two, and oftentimes burn out trying to juggle too many things, only to them fall all at once. I had the opportunity to read Dr. Bellandra B. Foster's book firsthand, and can't tell you how much it has helped me. Before reading her book, I wished for more hours in the day. Now, I realize that my time has to be split between my family and work, including making time to reconnect with my husband. It is still a work in progress, but I feel more confident in succeeding, thanks to Dr. Bellandra B. Foster's book. 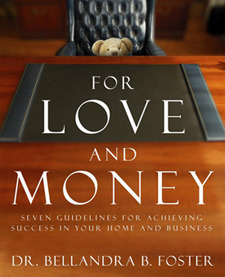 Please enjoy my Spotlight on Mom interview with her, and make sure you head back here on Friday, when I will share more information on her book and new website, The Wealthy Professional, in addition to offering one lucky reader a chance to win a copy of her book, For Love and Money: Seven Guidelines for Achieving Success in Your Home and Business. Company Website: www.bellandrafoster.com and www.thewealthyprofessional.comFacebook URL: bellandrafosterTwitter Handle: @bellandrafosterAge of Company: 15 years (entrepreneur and engineering consultant component)Favorite Inspirational Quotes: In the end, we will remember not the words of our enemies, but the silence of our friends. -Dr. Martin Luther King, Jr.-Take the attitude of a student, never be too big to ask questions, never know too much to learn something new. I am the youngest of four children. My only brother was murdered in 1982 and my wonderful parents have passed away (1990- Mom and 2002 -Dad). My two sisters live in Michigan and Texas. I have been married for 28 years (As of 10/6/2012), I have two sons ages 15 and 19. My older son just finished his freshman year in college. My younger son is finishing his freshman year in high school. After being an athlete for several years, he was diagnosed with dystonia in August, 2011. This has been quite a challenging year for our family. I typically wake up at about 6:15 am. I prepare breakfast for my son and a morning snack for my husband since he is typically about to leave for work. I prepare a morning snack for my self which typically consists of some type of fruit, fruit juice or smoothy and my dose of natural herbal extracts. I take my son to school and go into the office. My office is now small so I typically work right though the day since it is quiet. I usually eat a late lunch. I pick my son up from school mid to late afternoon. When I go home, I prepare dinner, typically going to the health club 2-3 times per week. I spend my evenings checking in on the boys, and making sure my husband and I have some "face time" to laugh and talk and just relax together. I typically do not go to bed before midnight. Also, I see the feature stories available for viewing on the bellandrafoster.com web page. Maintaining a viable level of work in an industry that is very male dominated. I worked in industry after college for 14 years prior to becoming incorporating in the state of Michigan. In 1997, my civil engineering corporation was incorporated in Michigan. 2008 MDOT DBE firm of the Year. Being one of the first minority female engineers to become founder and owner of an engineering corporation. Encountering racial and gender discrimination. My secret is to prioritize my life and maintain the priority God has instilled in me. Bringing the principles of TheWealthyProfessional to those who desire to lead healthier lives in their homes AND businesses. Maintain the priority in your life at all costs (relative to your own (physical, mental, spiritual and emotional) health, marriage, children). Determine Willing and Unwilling Sacrifices and how your business venture will impact them. When times get tough during your day, remember the years pass so quickly, so embrace each season as a gift.